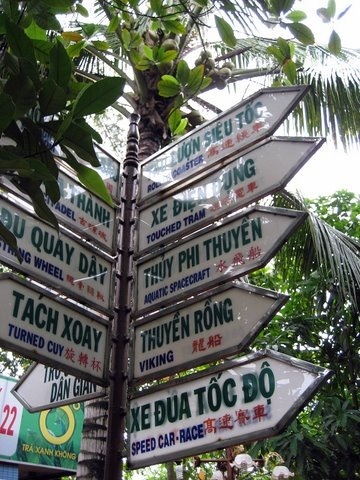 If you are sending employees overseas on even a short-term assignment, you may want to ensure that they know something of the local language. Although it may be possible to get along with a couple phrases and some smiles, an earnest attempt at speaking the language of the country you are in will go a long way towards forging a lasting partnership. Our language instructors will work with you to instruct your employees on the most important words and phrases they will need on their trip. Depending on the amount of lead time, we can introduce employees to simple questions and basic customs, or provide intensive training to help the employee become conversational. 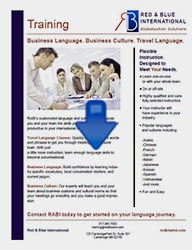 Whatever your language needs are, RABI will work with you to achieve your goal. and share with your colleagues.